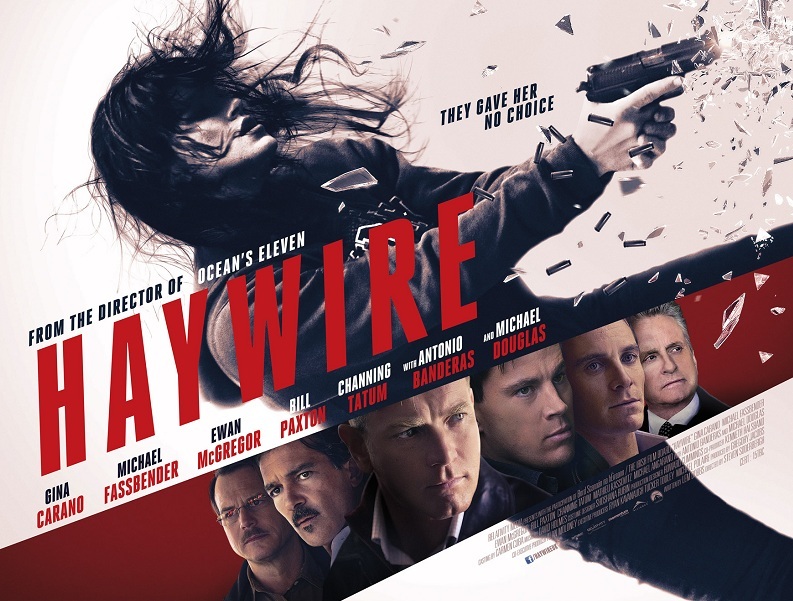 Just finished watching ‘Haywire.’ I really liked it. It appears to be a lower budget film with some heavy hitters such as Antonio Banderas and Channing Tatum. I’m certain that many people would find ‘Haywire’ to be a slow movie. Especially considering it’s about a spy on the run. But I didn’t find it to be slow. I liked the pacing, it drew me into the movie. The film also challenged me to understand what was going on with the larger plot. I understood the immediate problems, our protagonist, Mallory Kane, is on the run from her employers who have tried to kill her, I don’t feel like I’m being left in the dust, but I’m forced to close my computer-which I’m usually using while watching a movie-and pay attention. And as I payed attention I found myself drawn in by the long scenes, the two or thee camera angles, and the often absence of music. There was an underlining tension that could be felt in the film even during the slow parts. 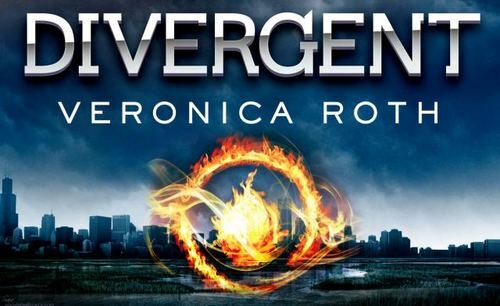 I was slight intrigued by the idea of her being Divergent, whatever that meant, yet was still feeling critical and so not easily impressed. I found the Dauntless rather interesting and started to enjoy myself in their compound-I’m a sucker for violence, what can I say? Though I spotted Four a mile away. Actually I knew as soon as Beatrice jumped into the net. Yet you can’t imagine my relief when I discovered there was no love triangle-”Glory Hallelujah!” I think I really started enjoying the book as I read about Beatrice’s growth and change from Beatrice into Tris. I was impressed by her as she learned bravery and yet didn’t let go of the values she’d learned in Abnegation. She went through some real changes and I like to see a character change and grow. I also liked that most of her success in Dauntless was not because she was physically powerful, but mentally so. She does improve physically because of the Dauntless training and who wouldn’t *laugh,* but she doesn’t turn into some superhero. 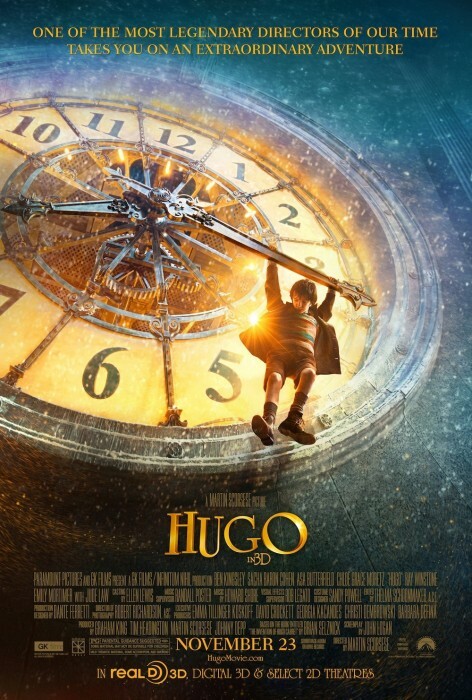 “Hugo” was a truly magical film, one of the rare gems I’ve seen this year. The other that comes to mind is “Super 8” and “The Help,” all wonderful movies. I saw Hugo in 3D, but was a little nervous about it. I’ve seen other movies in 3D, the animated films I’ve seen were amazing, “How to Train your Dragon” and “Legend of the Guardians” were both breathtaking! But most of the live action film I’ve seen in 3D were a fail, Tron in 3D was a sor disappointed. But I never regretted seeing Hugo in 3D, yet I don’t feel the experience would have much less enjoyable in 2D either. The 3D was subtle, adding a beautiful depth and new element to the movie. This is not a movie with a bunch of CGI eye candy that gets thrown at you. It was a testament to the fact that 3D can be used beautifully in less epic films. But I’ve spent too much time talking about the 3D dimensions of the film. And that is only a small part of it. The movie was magical. I want to think of it as a fantasy film, yet there was no true magic in it. The story could have taken place in the real world, yet there was something beautiful and fantastic about it. You feel for the boy, Hugo, who lives in a train station in London by himself, and keeps the clocks in the station running, all the while stealing his food, and parts for a secret project (No spoilers here) all the while ducking a the station-inspector and his dog, Maximilian. As I watched Hugo walked up the stairs into the clock tower, which was his home, I was overwhelmed by the whimsy of the setting, but also had the realization that though it was a romantic setting-overlooking Paris and the Eiffel Tower-it was extremely lonely as well. It’s not a story where an orphaned child finds a hideout away from all authorities and gets to live like a Lost Boy. You see Hugo in this wonderful setting that can’t help but awaken the imagination and yet you see his loneliness. The setting is brilliant! The train station is practically a character in itself. We get to see many of its inner works in the first moments of the movie as Hugo watches, unseen, from one of the stations many clocks. The movie does something marvelous, that most movies don’t take the time to add. It had a couple of side plots, involving people in the station. Most of these are developed as Hugo passes by, but a couple times the movie pauses, for a moment to focus in on these side plots. To let you sit and enjoy a moment in these sub characters lives, even though it has little to do with our hero. Sometimes this would just slow down a movie, but in this case it added a wonderful element to it. The movie did a great job with the characters, giving them depth and motivation. We even learn that our station-inspector who has a fondness for throwing orphans in the orphanage is not one sided. And Ben Kingsley plays the toy shop owner perfectly, making him a complex character that you can’t entirely figure out. Then Chloë Grace Moretz made a charming sidekick as Isabelle. Her passionate and adventurous spirit balanced Hugo’s sadder and more intense personality. One of my favorite scenes was when they were sitting up in the clock tower and Hugo explains how he used to imagine the world was giant machine and since machines don’t come with extra parts than he must fit into it somewhere. I just love that scene as they try to make sense of their world and where they fit in it. This review is basically a rant on the virtues of the movie, I’m sure it has some sins as well, but I will save that for the profession critical people to point out.